I hope you all had a great weekend! We made the long drive home yesterday and as sad as I was to leave my family, it's good to be back! Ruby's ACL surgery was postponed until tomorrow so we get extra pre-surgery snuggles tonight. 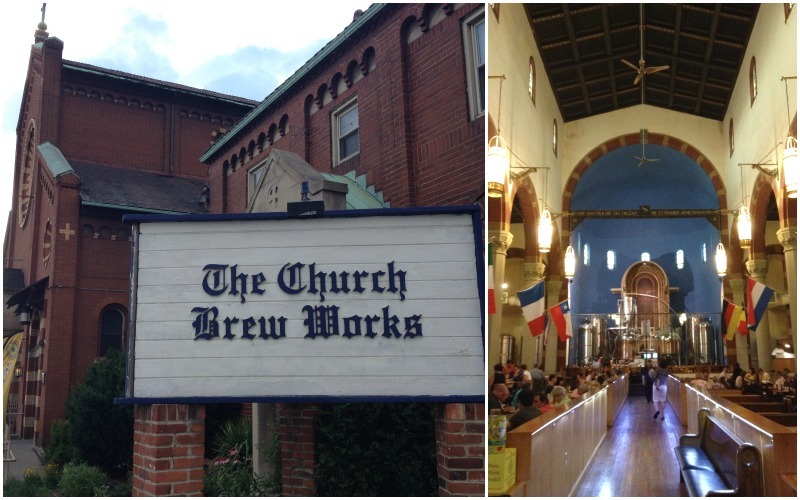 We got to spend a lot of time this past weekend in downtown Pittsburgh, first heading to Church Brew Works with my parents for dinner. They have so many things on the menu but I went with a Pittsburgh salad, which consisted of chicken AND fries! My out-of-town friends think its crazy that we put fries on our salad, does anyone else do that?! They brew their own beer there and a few of the casks are in the Altar area. The booths use old church pews as seats and the original aisle is still in place. So cool! On Saturday we headed my friend Marissa's wedding and her reception at the gorgeous Omni William Penn. The bride was absolutely stunning and the ceremony was beautiful. I couldn't get over the adorable ring bearer who stopped to pose for pictures and gives a thumbs up on his way down the aisle! ha! To kill some time between the ceremony and the cocktail hour, we walked to the brand new Consol Energy Center where the Pittsburgh Penguins play. 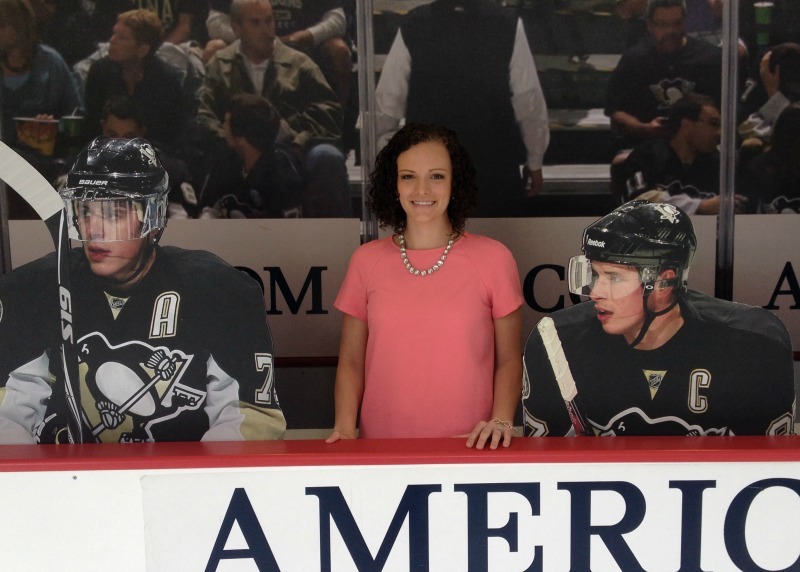 Because who wouldn't want to pose next to a fake Sidney Crosby in wedding guest attire?! The William Penn is such a charming and very old building with massive chandeliers and detail beyond belief. It reminded me of some of the buildings we saw in Europe! Handsome hubby in his 3-piece suit! We ate like kings at the reception, which included a favorite Pittsburgh tradition of mine: the cookie table! Our table happened to be right next to it, so we had a prime location to scope out the best looking cookies. We also managed to look completely ridiculous in some photo booth pictures. Steve's getup in that first photo strip takes the cake. Unfortunately my picture with the bride is dark, really regretting leaving my DSLR at home! And I leave you with a picture of Ruby from the ride home. I think it's her "get me the eff out of this car" face. Poor thing. I'm guessing mine looked pretty similar. Now I'm off to eat the two boxes of cookies we were "forced" to bring home when there were leftovers at the end of the night! I've never seen a cookie table at a wedding before, and I think I'm in love! Hopefully this will become a more widespread trend! I'll be thinking of Ruby tomorrow!! Love that bar inside a church - now that is my kind of Sunday service! Looks like a great weekend and that restaurant looks SO cool! Good luck to little Ruby! I love Pittsburgh! Praying for little Ruby's surgery and that everything goes as planned along with a quick recovery! ps i think we're trying to organize a meet up next week!! That bar inside that church is awesome!! I love how they used the pews as seats! That wedding looked like fun! That cookie tradition is so strange to me! That bar reminds me of Mad River downtown - the bar that is located inside of an old church. It's not as cool as the one you went to seems though. Your friend is a beautiful bride. Wishing Ruby lots of luck tomorrow! Nope, no fries on salad here but BOY I wish they were!! I've never heard of cookie tables either, but it sounds totally fabulous. 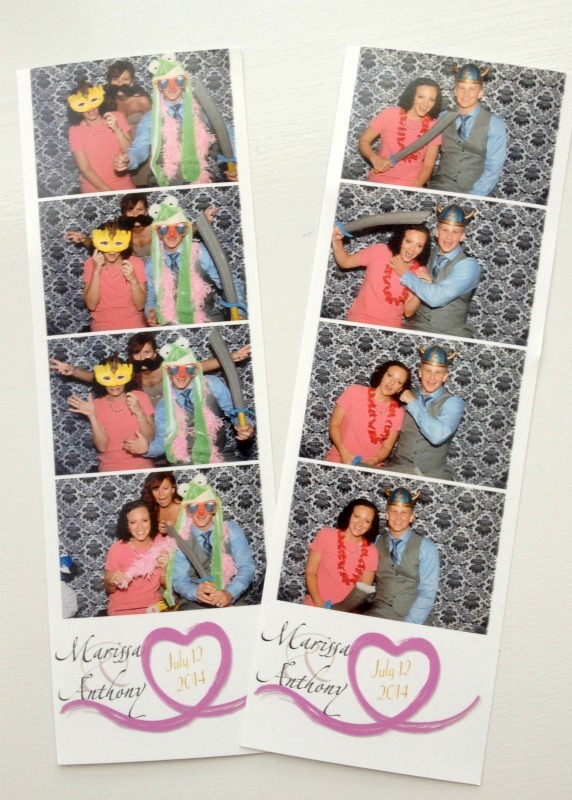 I'm so addicted to wedding photo booths. They're seriously the best thing ever. I wish we could have had one at our wedding! My husband is from Mt. Lebanon (right outside of Pittsburgh) - and I always love getting to go back and visit! We had a cookie table at our SC wedding and our southern guests loved it! Hoping Ruby's surgery goes well tomorrow! What a fun weekend! 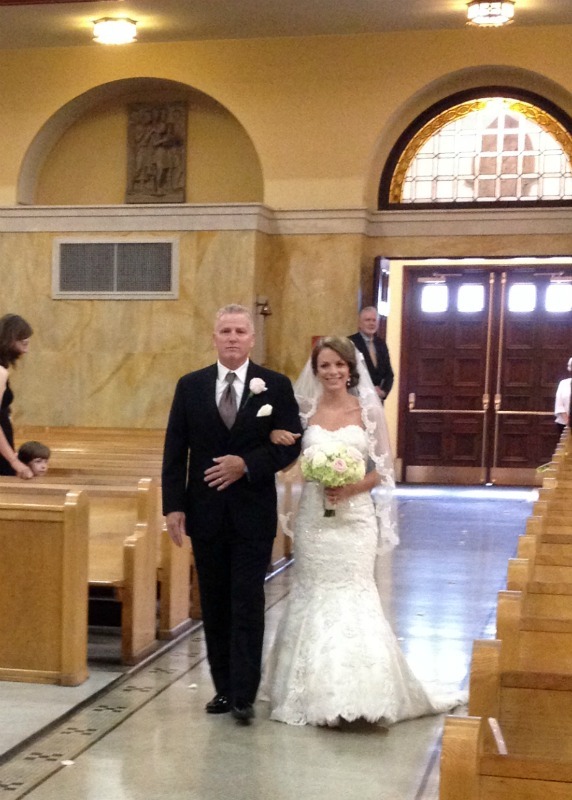 I love the bride's dress--gorgeous! A cookie table is such a fun idea! !